'Some Velvet Morning' (Elm Jensen, R. 2013) OGB-. 28". 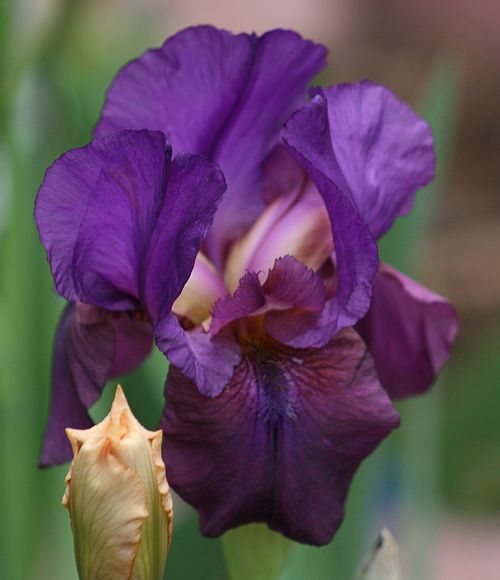 Standards mid-violet; style arms creamy yellow striped rose; crests mauve veined violet; Falls mauve washed mid-violet, veined dark red and violet; beards mid-violet; black line signal. 'Quartzlight' x 'Capitola'. Aril Society 2013.